This blog was first posted in May 2017. I felt impressed to post this blog again because I know many of us struggle with feeling stuck in the same place after years of being saved (same song just second verse). We appear to be failing in the same areas over and over again, like riding a merry-go-round. Here are three things to consider which may help us in understanding the important ingredients of maturing in our relationship with our Lord. 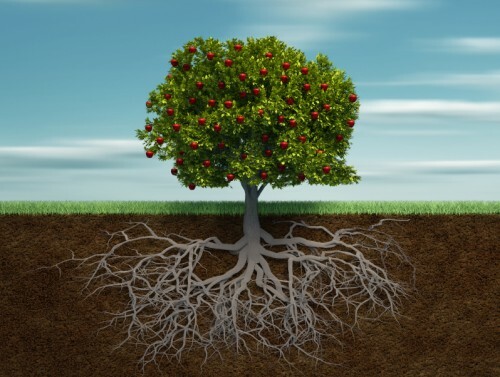 When I was a therapist working with clients or even now as a pastoral counselor, my goal has always been to try to get to the ‘root’ of the problems which were presented to me. I look at each person as a tree. When you look at a tree that has matured, its foliage usually is green and healthy, right? However, when you look at a tree that is diseased, the leaves are missing. If it has leaves, they are usually brown, sickly, decaying, or withering, a definite sign something is wrong. I thought about when we look at the Body of Christ and we see each other sickly, decaying, and withering, we wonder what’s wrong or why is this the case. The Bible calls us “Trees of Righteousness, the Planting of the Lord. We are planted by streams of Living Water and our leaves will not fade or wither, and whatever we do through Him WILL prosper,” but why are those things not happening to us? For this reason, we must examine the ‘roots’. What is causing our leaves to decay and wither away? What is causing our lives not to bear the fruit of the Life Source we are connected to, Jesus Christ? What is hindering us from growing, maturing, or coming into “Full Bloom or Glory?” Just like a good counselor should do, I inquired of the Lord and He said, “Examine the ‘roots’.” And, so we will. Root Rot: Excess water makes it very difficult for the ’roots’ to get the air they need, causing them to decay. To avoid root rot, it’s best to only water trees and plants when the soil becomes dry, and keep it well-drained. 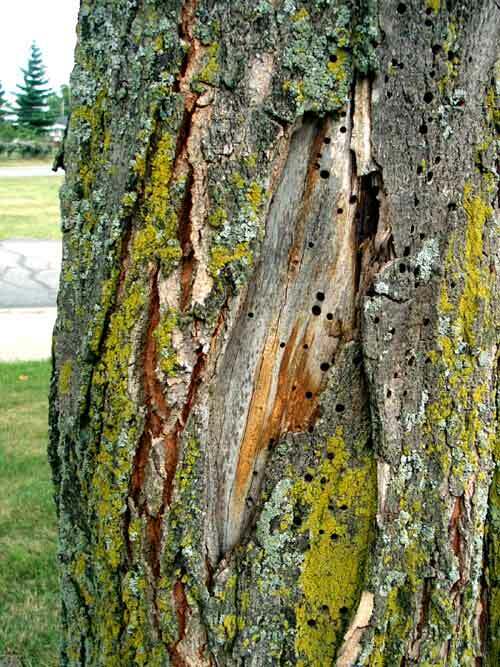 Overwatering a tree can be damaging to its health. How many of us, read and read, study and study the Bible, or go to church constantly and not allow what we have learned to become a part of who we are. We are listening, but we are not obeying. James calls us hearers of the word but not doers, we deceive ourselves thinking we are growing in the Lord. 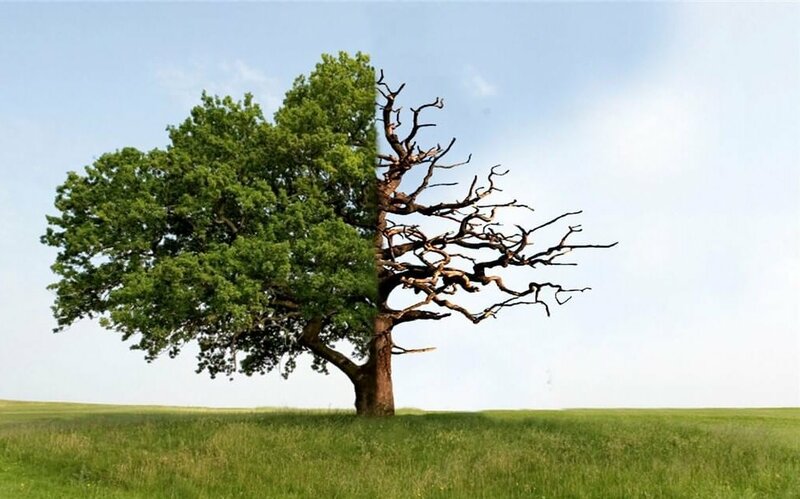 Poor Nutrients in the Soil: If the soil is not at the right temperature, does not have the right balance of nutrients to feed on, the tree will die. Another reason for not growing or bearing fruit is that we do not allow the Lord in us to remove or cut out things in our lives that are choking the truth. We are ever learning and reading but are not taking Him seriously to surrender the debris hindering our growth. What if the tree has the water it needs and the right nutrients it needs to grow and is still unhealthy, we must look at another possibility? The most serious thing which can weaken or kill a tree are insects? “Be careful, dear brothers and sisters. Make sure that your own hearts are not evil and unbelieving, turning you away from the living God.” Listen to its strategy… to turn us away, even for a moment, from our Father! When we are listening to and interacting with ‘unbelief,’ we can’t rest in our Father’s arms, trust in His words to us, sit in His lap and cuddle with Him. Instead, we hide in books, social media, movies, food, shopping, and other activities. We are anxious, fearful, worried, trying to figure out life on our own, making our own plans, wrestling, and discontented. What do I do Tresca when I find myself this way? Here is what I encourage you to do. First, repent, then use your will, to say No! Tell that voice speaking to you through the flesh, “That’s a lie! That’s not the TRUTH!” Then, submit to the Lord and resist the evil one and he will flee. This is a battle that has already been won! BUT I must participate and do my part by standing in the Grace and Freedom my Jesus has purchased for me! Wonderful my brother! Our walk can be simple if we remember… we gave our hearts and lives to Jesus for Him to enjoy and live through us… we just have to allow Him, right?